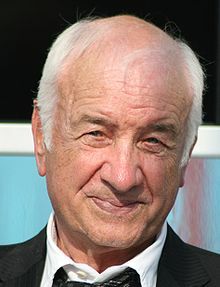 Armin Mueller-Stahl (born 17 December 1930) is a German actor, painter, writer and musician. He is best known for his Academy Award nominated role as Peter Helfgott in the Shine (1996). Mueller-Stahl was born in Tilsit, East Prussia, German Empire (now Sovetsk, Kaliningrad Oblast, Russia). He moved to Berlin during World War II. He has been married to Gabriele Scholz since 1973. The couple live in Los Angeles, California. ↑ "Armin Mueller-Stahl biography". The New York Times. Retrieved 8 April 2014. This page was last changed on 30 August 2017, at 21:07.